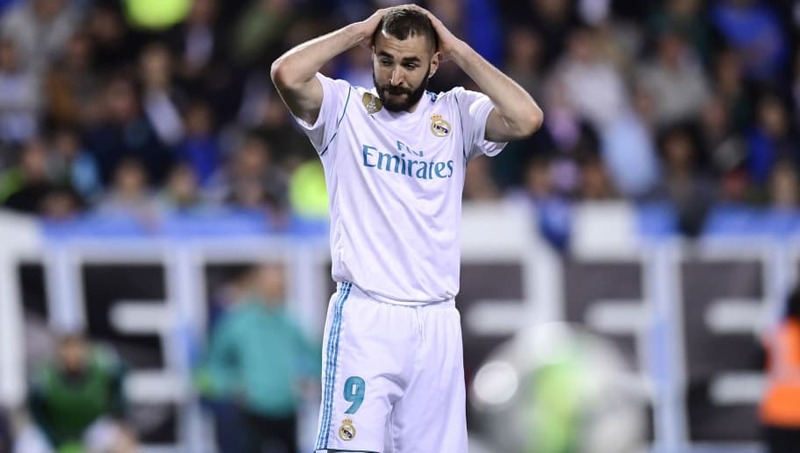 Zinedine Zidane has insisted Karim Benzema's effort levels this season have not dropped despite it being a "difficult" season for the striker. The 30-year-old has netted just eight goals across all competitions this season for Los Blancos; with the frontman scoring only once in his last nine outings, which came against Segunda-bound Las Palmas last month from the penalty spot. However, despite the French forward now closing in on two months without a goal from open play, his performance during his side's 2-1 win over Malaga was impressive, and his fellow countryman in the dugout insisted to Marca post-match that his lack of success is not for want of trying. Yeah, you lot aren't going to like hearing this, but Benzema's link-up play has been excellent today (especially in the second half). He's come deep often to break the press & he's helped connect a very fluid offense on the break. "It's been a complicated season in terms of goals for Benzema", Zidane explained. "He'd like to score, and he's had chances, he played very well tonight, but he lacked a goal. He's not going to give up." This campaign has been far removed from last year, which saw the attacker strike 19 times in all competitions. Benzema is insanely talented man, way too wavy. I don’t think you can criticise any other aspect of his game bar finishing ofcourse, which is the most important for him. However, those figures, again, do not scream a ​Real Madrid-esque talisman, especially during a LaLiga and Champions League winning term. And Zidane hinted via his team selection, with both Cristiano Ronaldo and Gareth Bale left at home, as well as his post-match comments that Benzema may be taken out of the firing line for their league clash with Atheltic Club on Wednesday; in what is Los Bancos' last contest before their showdown with ​Bayer Munich in the Champions League semi-finals later this month. "It's not going to be easy, I'll try to do my best and there will be rotation", he confirmed. "We have a match before the semi-final and some will have to rest. We're arriving into that match healthy; it's important to have everyone available."